Croeso i Ddosbarth Helygen. Welcome to Willow Class. We are a mixed class of year 3 and 4 children, and the first class in Key Stage 2. Willow Class is taught by Mr Oliver Furneaux and Mrs Helen Roberts. Our class offers a happy, caring, calm and approachable environment where all children feel valued, safe and happy and where they are keen to learn and work hard. We offer a balanced, challenging and exciting learning environment where children are encouraged to be positive and independent in their approach to work. We ensure and encourage that each and every child in the class has the opportunity to progress, feel successful and achieve their full potential. Children’s learning is continually monitored, with any areas for improvement being identified and highlighted to each child, to ensure progression is made. In Willow Class, we promote and reward the importance of good manners, kindness, friendship and support by focusing on our School Golden Rules. 1. We look after property. As part of Willow class, we also help to develop the children’s independence and organisational skills through a variety of daily roles and responsibilities as monitors. The learning that takes place in Willow Class is designed to encourage the children’s independence as well as collaborative working, alongside the development of skills and subject knowledge. We work on a two-year programme of study/topics. Our mornings are dedicated to Literacy and Numeracy, with afternoon sessions focusing on the foundation subjects: Art, Design and Technology, Geography, History, ICT, Music, Personal and Social Education, Physical Education, Religious Education, Science and Welsh. Wherever appropriate, cross-curricular thematic learning is underpinned by the Literacy and Numeracy skills curriculum. Regular use is made of the outdoors as a learning resource. 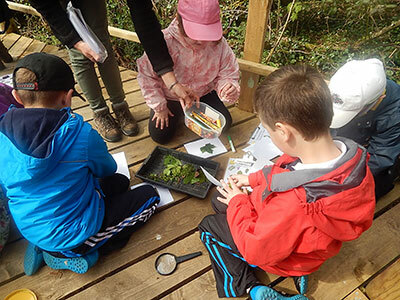 Termly educational visits enhance our classroom learning and provide important life experiences, linked to the termly themes. In the Autumn terms we visit Narberth Museum to take part in a Tudor workshop, and Molleston Chapel and Templeton Church to take part in a “Mock Dedication/Baptism ceremony. 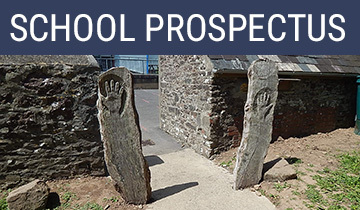 In the Spring terms we visit Trysordy House, a “scraps” centre in Carmarthen to take part in art and craft activities. In the Summer terms we visit Pwllcrochan near Pembroke to take part in the study of different habitats. The School grounds offer a variety of learning environments: a conservation area with pond, a playing field with running track/path and a play area with playground activities/markings. A Literacy and Numeracy piece of work is set home each week (sent home on a Wednesday to be returned the following Monday). Homework is set to consolidate the learning taking place in School. This allows parents to have an insight as to how their child is progressing in both Literacy and Numeracy areas. All children are asked to bring their reading books, along with their reading record books, to school every day. Children should aim to read at home regularly please, as this encourages the development of the children’s reading skills. Children are listened to on a regular basis in School throughout the week by staff and reading volunteers, during Guided Reading, Reciprocal Reading and Individual Reading sessions. This is an extended piece of work for the children to support independent learning relating to our class topics (once per half term). 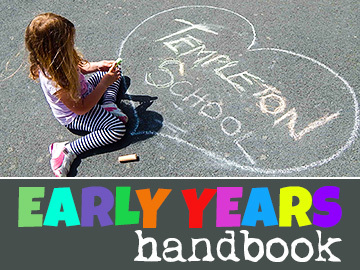 For each learning log activity, children are expected to research the topic, and present their findings across a maximum of four pages within the book. The children are required to use a variety of methods for presenting their projects and summarise any written research into their own words. They are given two weeks to complete each activity. Once completed, these tasks are then self and peer assessed in school. All children, through discussion with us, set themselves individual targets to help develop areas of learning in Literacy, Numeracy and another area of their choice. These targets are reviewed and re-defined on a termly basis. PE lessons are take place twice throughout the week. The children take part in Health Related Fitness and P.E. lessons. All children are required to have their P.E. kits in school for these days. Throughout the year, the children also undertake swimming lessons at Narberth Swimming Pool. We are a “Healthy School” and our focus is on providing our children with a healthy appetite and attitude to eating fruit on a daily basis. Therefore, Fruit Tuck Shop is available daily for children to buy their own fruit. There is a charge of 30p per piece of fruit, with the children in Years 5 and 6 running this facility. Two children from each year group are elected, by their peers, to act as class councillors. 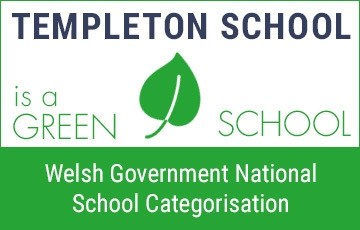 Their role is to facilitate class council meetings and attend School Council, where they act as spokespersons to discuss any issues, concerns or needs of their class or School. These class council meetings take place on a fortnightly basis. 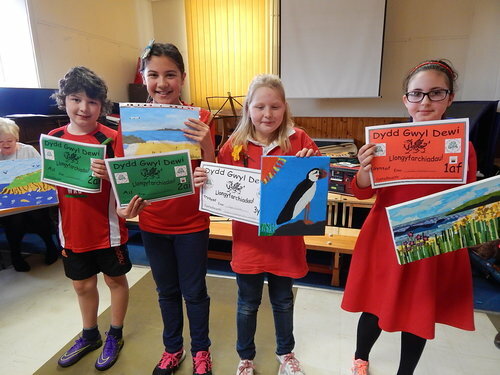 One child from each year group is selected by the staff to act as “Criw Cymraeg” councillors. These children reward members of their class with “Tocyn Iaith” (Language tokens) when they witness children speaking Welsh incidentally in class. These tokens then become points for their house team. 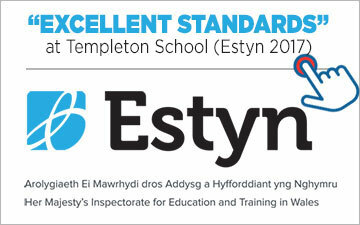 Regular incidental Welsh sessions are timetabled throughout the course of the week. Children are encouraged to practise times tables at home whenever possible. We promote a positive mind-set around using metal arithmetic and strongly welcome support from parents in the development of this.